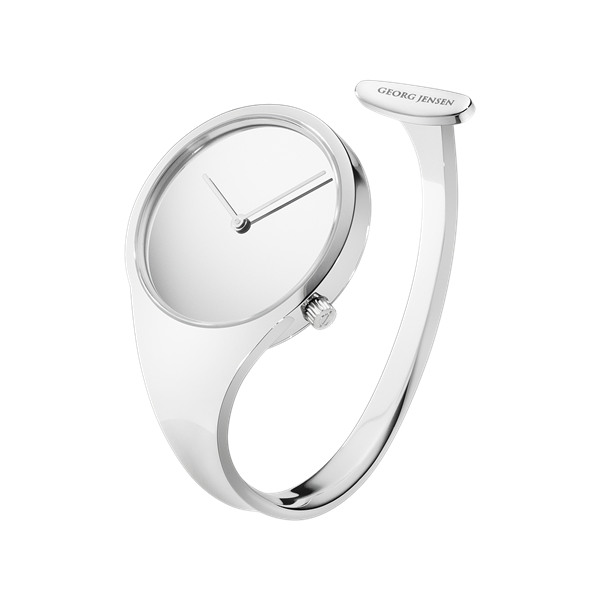 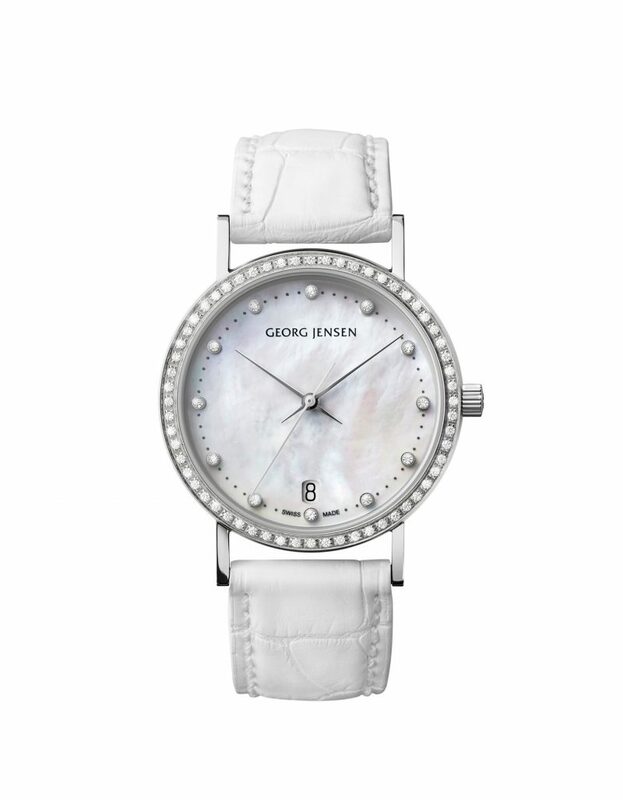 This Georg Jensen Vivianna Torun 326 large open bangle watch has a diamond set bezel surrounding the numberless, clean and classic dial. 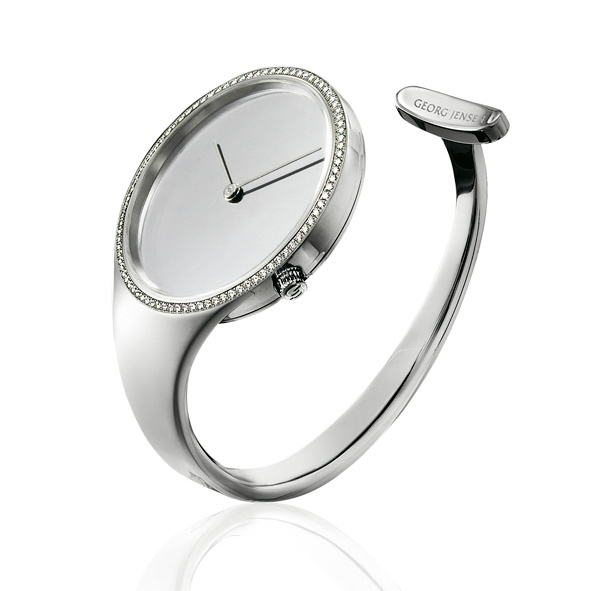 The Vivianna bangle watch was originally designed as an ornament rather than a chronometer. 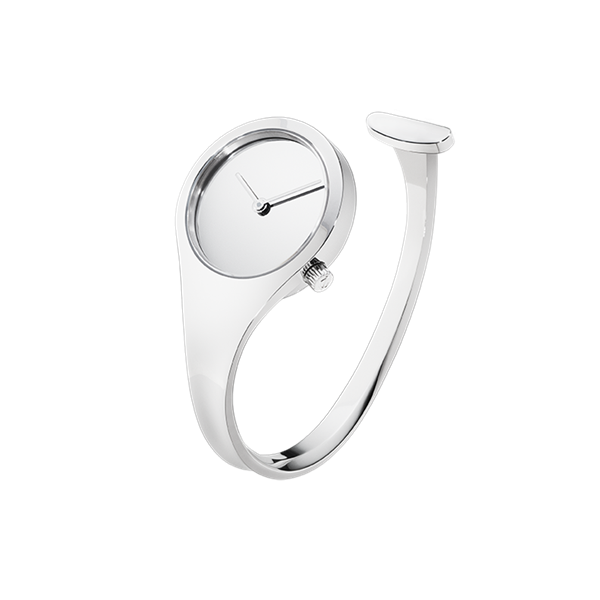 Created by the legendary Swedish designer Vivianna Torun Bülow-Hübe as a reaction to the relentlessness of time. 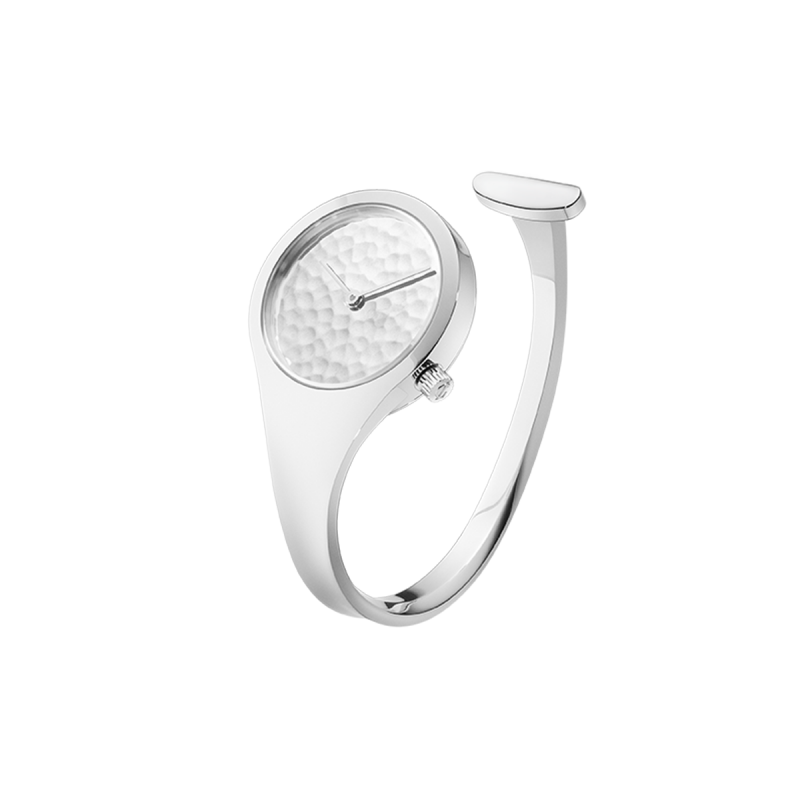 This range of vivianna watch designs has now been updated and we now have only one of its original sought after design now available to purchase.